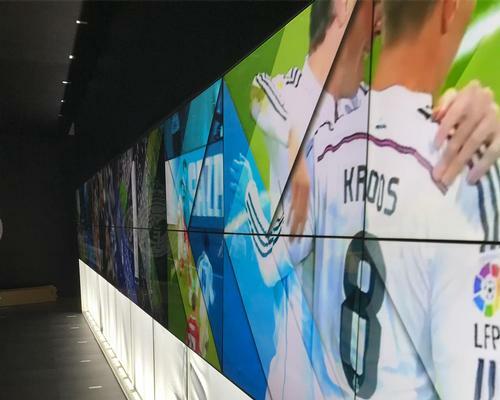 Australian digital signage company Amped Digital has completed a major tech integration for the Real Madrid World of Football Experience, a touring exhibition that is set to tour the world, visiting 15 cities over the next five years. Created by Interp, a company specialising in the development and installation of temporary experiences and exhibits, in partnership with Melbourne Museum, the Real Madrid World of Football Experience blends physical interactive experiences with spectacular AV displays and playable gaming elements to immerse visitors in the clubs history. Housed in a bespoke 50m x 40m touring pavillion, designed by Interp, the experience consists of four zones, taking visitors behind the scenes to discover the culture, passion, players and victories of Real Madrid. Memorabilia, including the club's 13 UEFA Champions League Cups, the FIFA Club of the Century trophy, Golden Boot trophies and the Ballon d'Or trophy will also be on display. Two spectacular 18-screen video walls serve as a spectacular focal point at the exhibit entrance. Powered by 18 49" BrightSign HD panels and programmed by Amped Digital, the walls showcase bespoke video content designed by Tania Price from experiential design firm Immersive. Due to the scale of the project each screen had to be synchronised to ensure frame accuracy and seamless video playback, as a single discrepancy in the frames would ruin the overall effect. 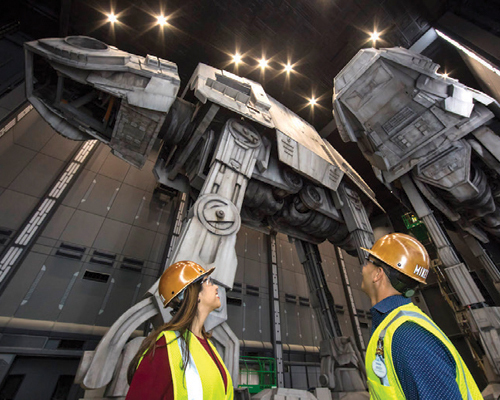 In addition, the company has had to ensure that the walls' playback would continue to work faultlessly, after being dismantled and reassembled while touring. Matt Steedman, director of Amped Digital, said: "We created an AV explosion: a spectacular immersive audio video experience that gets visitors excited and sets the expectation for what's to follow. The final effect is dizzying: a combination of 36 large screens delivering content in perfect synchronisation all accompanied by a wall of sound makes a deep impression."